Zeljko Obradovic is at the level of the NBA greats, according to Rick Pitino. 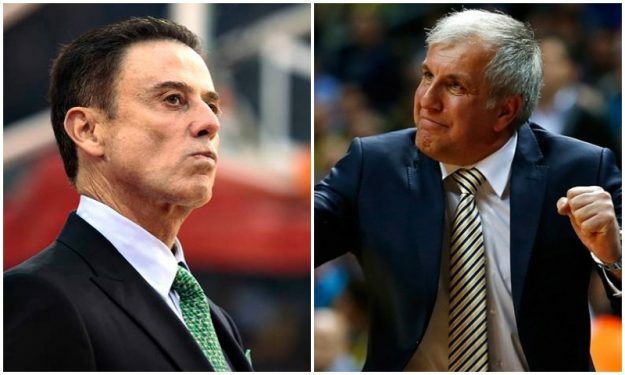 Panathinaikos head coach Rick Pitino praised Fenerbahce Beko coach Zeljko Obradovic prior to the EuroLeague game between the two teams Friday (8/2), saying that he’s “as good” as some of the most legendary NBA or colleges coaches. “I’ve coached against the great NBA coaches, the great college coaches and the coach [Zeljko Obradovic] here? I put with all the great ones there. Whether it’s Pat Riley, Phil Jackson, Coach K [Mike Krzyzewski]? He’s as good as them all. Because everything his team does is fundamentally sound. That’s the making of the great coach,” Pitino said in front of EuroLeague TV’s camera. Obradovic is widely regarded as the top coach in the history of the European Basketball. He’s the winningest EuroLeague coach with nine titles in the competition. The Serbian coach also has five Saporta Cups and dozens of domestic titles in his trophy case.